Southwest Arizona was calling our name. It was 5:00 AM and we were loading the car, heading out on a road trip to some of the most majestic places in the Southwest – Lower Antelope Canyon, Monument Valley, and Grand Canyon, Arizona. Lower Antelope Canyon was our first destination. After an 8-hour drive, we had arrived. This is an isolated area with nothing around, but flat desert landscape. I expected to see a little hill or something showing where the slot canyons were. It would be easy to drive right passed it. We walked with a guided group dropping down what looked like a crack in the dirt leading to a long set of stairs. We quickly entered into one of mother nature’s most impressive creations – Lower Antelope Slot Canyon. The temperature drops and the sounds echo off the 30-foot walls. As the desert sun shines through, a spot light is displayed peering down through the canyon walls. Centuries of heavy flood waters have shaped the once small ravine into twisting towers. These massive grey, red, and tan-colored slot canyons are much deeper than they are wide. 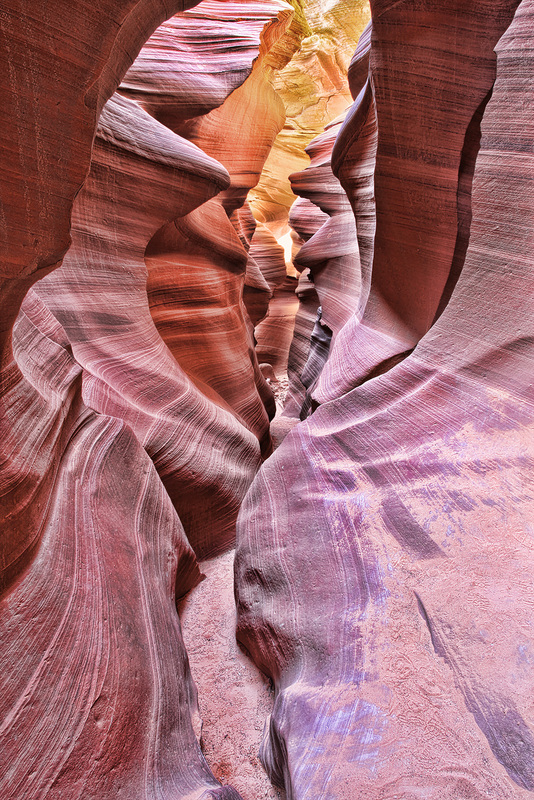 The waters have created a maze that meanders through the narrow slot canyon bending through the textured sand walls. This was much better than what I expected. It’s been a long, fabulous day. It’s time for a good night sleep and back on the road to Monument Valley. After a quick breakfast and a peaceful drive through the Southwest, we are nearing Monument Valley. The table tops are faintly coming into sight as the wispy clouds are enveloping the blue desert sky. 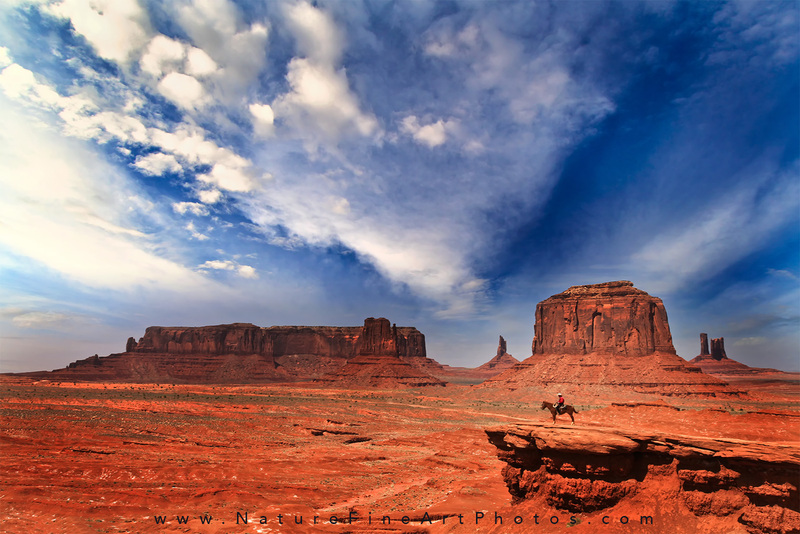 We are entering Navajo Nation’s Monument Valley Park – the epitome of the American West. 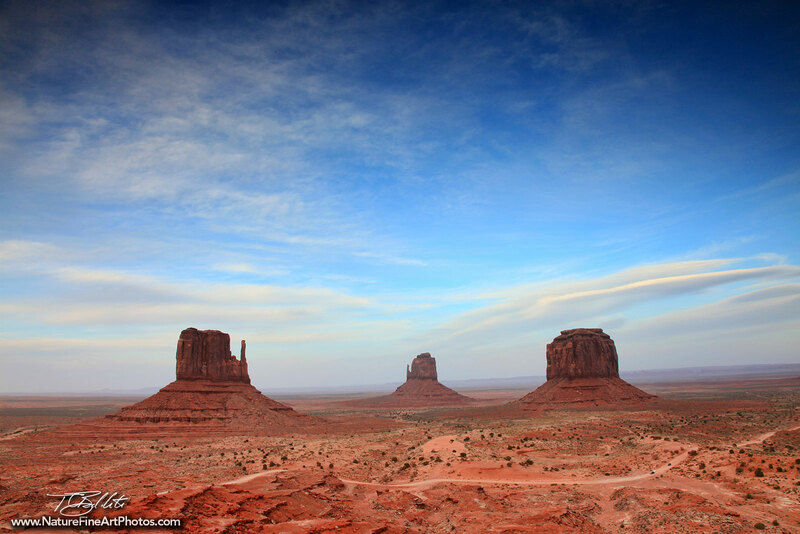 The distinguished red rock mesas and buttes are surrounded by miles of sandy desert landscape. It’s hard to believe hundreds of millions of years ago, this sacred land was once at sea level. The valley possesses sandstone sensations towering up to 1000 feet in height. 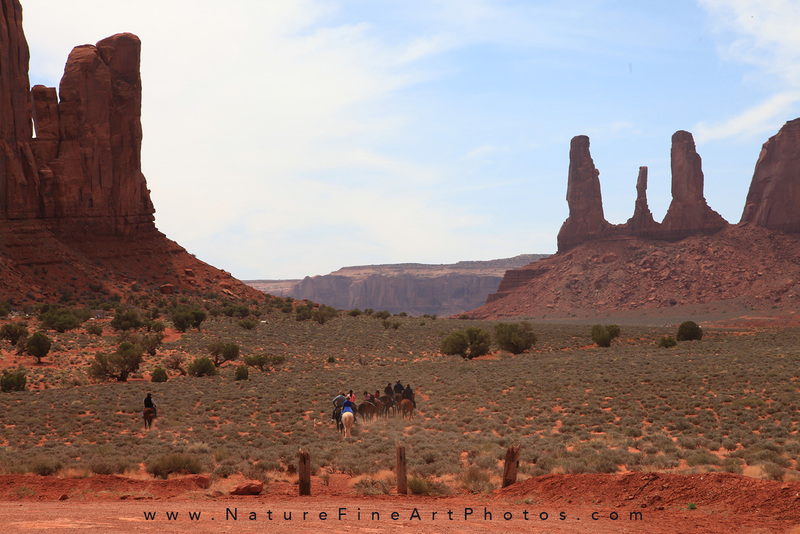 The plateau had been built and over time the environmental forces of wind and rain slowly peeled away at the rocks leaving the famous mesas and buttes in Monument Valley. We drove on the dirt roads through the park admiring the famous hills and plateaus. Towards the end of our drive we came across a horseback rider standing on the edge of a plateau. The picturesque opportunity could not be denied. We asked the man if we could take his picture and he agreed to it. We felt very fortunate. It’s been a spectacular photography day and the day is ending and we are looking for a photography destination for sunset. In the morning we are heading out to the Grand Canyon. It was a long drive to the Grand Canyon National Park. The wind was strong, the loose sand was blowing so hard I couldn’t see out my windshield. I could hear the sand hitting my car. It seemed like business as usual for other drivers as big trucks were passing my car as if I were standing still. The good news is the dust storm didn’t last more than 30 minutes. It ended soon before we arrived at the Grand Canyon. 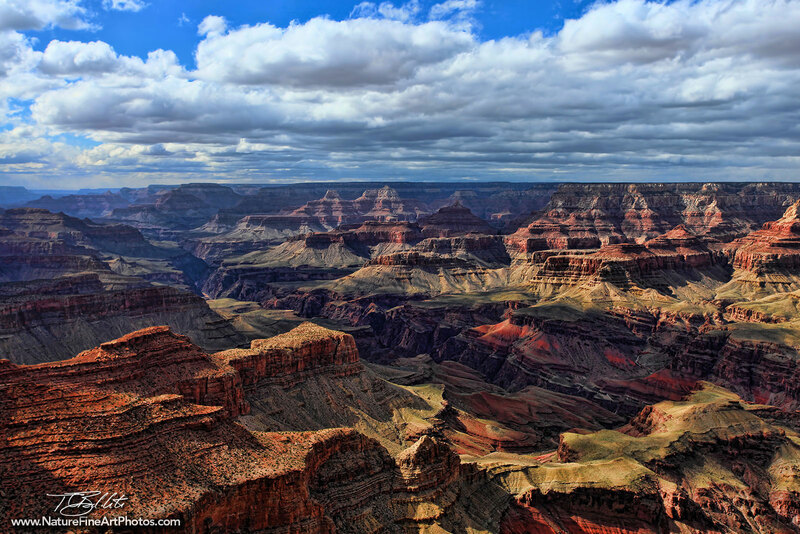 Once you step out onto the Rim of the Grand Canyon, the scenery will take your breath away. Even with all of the beautiful photography available, seeing it for yourself is truly incredible. The story of the Grand Canyon began it’s creation millions of years ago. The pieces of the puzzle became exposed as each layer of rock was formed after millions of years of plate tectonics and erosion spread apart the canyon walls. This unique natural wonder developed as the rock layers were revealed. The rough flood waters carried along large boulders and rocks gradually chiseling away pieces of the riverbed as they collide along the rock walls downstream. As the down cutting occurs, the swift current moves quickly along the steep slopes. 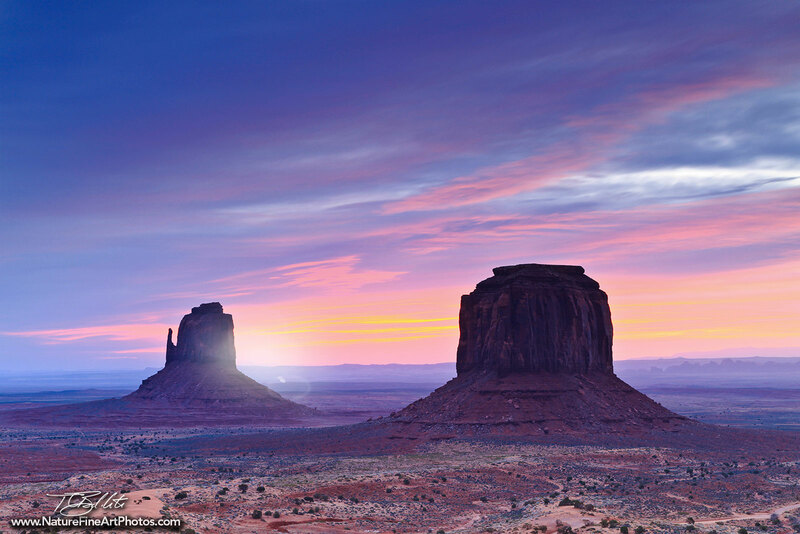 A large valley was created surrounded by hills and mountains known as the Grand Canyon. The awe-inspiring valley – measures 277 miles long, 18 miles wide, and 1 mile deep – attracts approximately five million visitors annually. This was a spectacular trip. We are heading home tomorrow, and already planning our next trip to another beautiful adventure. Click on the link to view more nature photos of Southwest Arizona.